Want to have a blog that looks very professional? 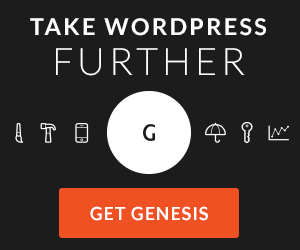 Want people to see that you have a serious site when they visit you? One of the best things you can do to portray a professional website is to have images that are the proper size! How to know what size your images should be. Well, there are a few considerations. Firstly, what is the width of the space on your blog page? These days, many (not all) main areas in your articles are around 600 pixels wide. If you don’t know what size your main article area is, there are ways to figure it out. Firstly, you can find out by trial and error. Place images of various sizes in your blog post, and see which pictures fit properly in the area available. Another thing you can do is check the documentation (if available) for the theme you have chosen, and it may tell you exactly what size images will fit properly on the site format. Another thing you can do is to use a plug in for your browser which will allow you to “measure” the size. I am a user of Google Chrome as my browser, and there is an add-on for Chrome called “MeasureIt” which allows you to measure anything on your browser screen. So, find out what size images fit properly on your theme, and use the size that fits! A few days ago, I told a client what size of images he needed to use to fit on his site. He wrote back and said that he could not figure out how to find images that were the exact proper size for his needs. Well, to be honest, it is not that difficult. Truth is, you don’t need to find images that are of the proper size. You need to find images that are either the proper size, or images that are bigger than the proper size. What do you do if you have larger images than what you need? Well, you re-size them! To re-size images, you need some kind of image editing program. Probably the most popular such program is PhotoShop. I personally use Gimp, which is, in my opinion, as powerful as PhotoShop, but it is free (PhotoShop is quite expensive). 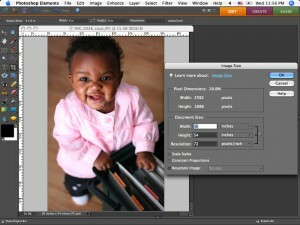 You can use this program (any image editing software) to re-size your photo to just the perfect size for your site. Having images that are the wrong size will make your site look poor. Images that are too large and hang over the side of the site just look bad and are unprofessional. On the other hand, images that are too small are a problem too, as people will want to see more detail, and you are not providing them with what they are looking for. Having images, though, that fill the space provided, just looks professional, and makes your site look professional too. It’s easy to do, and only takes a few minutes to take your blog post from looking sloppy to looking professional!